Have you ever had a gut feeling? Something you just knew you should do against better, more logical judgement? Invariably such decisions seem to work out well. It’s like a spidey sense, which for some is fascinating and spooky at the same time. For Malcolm Gladwell, it was an opportunity to peek into the locked door of our minds in his classic book, Blink. So what is this sixth sense and how can you control it to make decisions like a boss? 7 Want More Mind-Bending Book Summaries? Gladwell starts the book by recounting the story of the Kouros statue, a Greek work of art purchased by the Getty Museum for $10 million. While lawyers and scientists pored over the statue for months to prove its authenticity, a few experts took one look at the statue and knew it was fake. 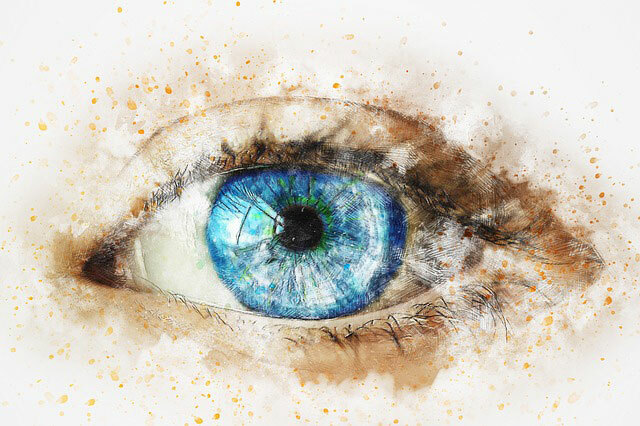 The story illustrates how intuition plays a huge role in our perception of the world. While this story’s illuminating, it’s the science behind our subconscious information gathering that Gladwell concentrates on. In a renowned gambling experiment, scientists found that when choosing cards from a rigged pack, sweat glands in the hands of the players became active. It was only much later on in the game that the players consciously began to avoid the rigged deck. The participants’ response to their environment happened below the surface of consciousness, in what the scientists called the adaptive unconscious. A similar process happens throughout our lives, as we toggle between conscious and unconscious modes of thinking. Often you knew instinctively whether you liked that person, or the best choice to make. While we’re conditioned to deliberate over decisions and think carefully, it’s often quick, instinctive decisions that are more effective. In the end, the two groups gave the lecturer very similar ratings, showing just how powerful intuition can be. If we take a microscope and analyse these small decisions, he says, not only can we improve ourselves, but also the world. So how does intuition really work? An experiment designed to analyse married couples and the strength of their relationship. After observing the couples for only one hour, Gottman was able to predict with 95% accuracy whether a couple would still be together 15 years later. After a mere 15 minute observation, he achieved a mind-boggling 90% prediction accuracy. In other words, the ability of our subconscious to find patterns in situations, based on very narrow slices of experience. Predicting divorce, he says, is simply a matter of pattern recognition, and picking up a particular signature. To become more accurate Gottman filters out irrelevant information and focuses on the most pertinent data. Gottman’s pattern recognition has become so advanced that he can hear a couple in a restaurant and know whether that couple will still be together in a few years time. Defensiveness, stonewalling, criticism and contempt were shown to be the main predictors of marital problems. Contempt shows no gender difference and it’s the real relationship killer. It was shown to be so damaging in fact, that its presence can predict how often the spouse will have a cold. Its effects on the immune system are because it’s a form of rejection and social exclusion. Intuition in every scenario works in a similar fashion, sifting through available information to focus on the determining factors. In one study, students were asked to complete a personality questionnaire about their friends. Another group of strangers was asked to observe this friend’s dorm room for 15 minutes before completing the same questionnaire. Amazingly, the strangers observing the dorm room did better than the friends on the questionnaire. The group of strangers were able to gain an objective analysis of the person and filter out the unnecessary information to reveal the thin slice. Another study showed that independent observers were more accurate in predicting the likelihood of surgeons getting sued, over a detailed analysis of the doctor’s record. The litigation rate was not in fact linked to the medical performance of the doctor, but rather whether the patient felt rushed or ignored. Even more amazing is the fact that study participants were able to thin slice from listening to only 40 seconds of garbled speech, just by picking up the speech pattern of the doctor. This strength of intuition surprised the researchers. John Bargh, at New York University, has shown how thin slicing and intuition influence our actions through a process called priming. In his famous experiment, he asked participants to complete a word test which contained words synonymous with old age. After the experiment, the testers were timed walking down the corridor. Those that were given elderly cues were shown to walk more slowly, having been given primed for old age. In another example, students were asked to think about professors and soccer hooligans before trivial pursuit knowledge test. The group that thought about professors scored 55.6% on the exam, while the soccer hooligan group scored 42.6%; A whopping statistical difference. Perhaps the most shocking example of priming, however, was demonstrated when African American students were asked to declare their ethnicity on a form prior to a knowledge test. Those that submitted their ethnicity performed 50% worse in the test. And that worryingly, what we often consider to be free will may be an illusion, influenced by outside factors. In fact, research has shown that when speed dating, what you consciously think you seek in another person changes when you meet someone you like. And when asked to explain their unconscious decision making, people often have to create a story to explain the choice they’ve made. Such an inability to control or consciously explain our choices mean that rapid cognition can sometimes lead us astray. Height has been shown to play a significant role in subconscious bias. Researchers analysed the findings from four large studies and found that compensating for other factors, every extra inch in height is worth 798 dollars in salary. In a similar fashion, it’s easy to judge people’s ability according to their appearance. Gladwell uses previous American president Warren Harding as an example, and it may explain why you often encounter colleagues you feel are completely under qualified for their role. The Implicit Association Test measures attitudes and beliefs that people may be unwilling or unable to report. A Harvard IAT test which measures racial attitudes found that a huge 80% of test takers demonstrate a pro-white subconscious bias. And on average, half of African Americans who take the test show a stronger association with white people. In another study by Ayres, car dealerships around Chicago were tested for their response to customers of differing ethnicities. The results showed that African American men were offered cars costing $800 more than white men, even after bargaining for 40 minutes. These tests demonstrate that even though participants aren’t consciously aware of any racial bias, their subconscious is at odds with their conscious actions. As previously mentioned, you can change the way you thin slice through priming. For example, reading about Nelson Mandela before a trace test has a positive influence on the results. And often exploit them by using certain cues to elicit buying responses. The Psychology of Persuasion by Robert Cialdini is an excellent read which shows just how prevalent these tactics are. In 2000, Van Riper, a celebrated General in the American army, was asked by JFCOM to participate in a war games scenario, to prepare for a fictional Middle East invasion. His opposing, blue team, had huge resources and information at its disposal, including research analysis and complicated computer systems predicted effective strategies and chances of success. Van Riper, in contrast, employed a lean leadership style, relying on his experience. Using this technique, Van Riper wiped out 16 blue ships on the second day of the game. This experiment, like the student personality questionnaire and the Kouros statue before it, shows how intuition and performance can actually be hindered by too much information. Rapid cognition is based on very thin slices of experience. Feed it too much material and the system may jam. In his book, Sources of Power, Gary Klein analyses professionals in high-stress situations and their decision-making process. He found that nurses and firefighters under pressure wouldn’t consciously compare all options. Instead, they would act quickly, drawing on a mixture of experience, intuition and rough simulation. And how can we hone our intuition to improve our decision making and performance? A world in which intuition and producing a funny story on the spot is paramount. Good actors develop every suggestion, line however bizarre. Bad actors block suggestion and the scene dies. To develop this improv technique and make subconscious decisions under pressure actors undergo repetitive practice and training. Much like in basketball, where you perfect your plays so thoroughly that eventually, you produce an intuitive performance. Sometimes asking people what they like or want doesn’t provide accurate answers. As Dan Ariely points out in his superb book, we’re predictably irrational creatures. Market research can often be too blunt to pick up the difference between bad and different, especially with new, revolutionary products. Sometimes you need some context to make a thin sliced judgement. In this way, experts are better able to interpret their experience with new products. They have a better handle on their intuition and their reactions are more reliable. Whenever there is something you’re good at our passionate about, it changes the nature of your first impression. Your first impression is easily disrupted when you’re not experienced or interested in the subject. So if you work on improving your skills and knowledge in a given area, your intuition on that subject will improve. If you’ve ever tried to think about what you’re doing when you’re in the zone, it can actually hinder performance. Research led by psychologist Jonathan Schooler identified this process as verbal overshadowing, where introspection can hinder thin slicing and rapid cognition. If you try to pick someone from a lineup you remember their face well. If you have to write a description of them first, you do worse. This is because word description displaces the image in your head. Trying to explain why you feel a certain way about something can confuse you and how you really feel about it. It blocks your intuition, much like analysis paralysis. And it’s the same in other arenas; When you think about your actions you lose the flow. Shopping for a new computer can make you want to sit in a corner and cry. There’s only so many specs, gigas and hard-drive information you can process. The good news is that less information can be more when making decisions. Sometimes you need to know very little to find the hidden signature of a situation. In fact, a study in Cook County Hospital (Goldman’s algorithm), predicting heart attacks discovered that only four data points are required. Having more information makes you feel more confident but it doesn’t improve the accuracy of your decisions. Successful decision making relies on a balance between deliberate and intuitive thinking. And less information is often more effective. Reduce choice to make better decisions. Jam experiment. Six jams versus 24. 30% bought versus 3%. Researches analysing police shootings have shown that officers reactions in these pressure situations are strikingly similar. Under extreme stress, they experience visual clarity, tunnel vision, diminished sound and slowing of time. This is because the mind sacrifices other functions for heightened awareness. In these situations, the optimal arousal for performance is a heart rate of 115 – 145. Above that, poor performance results because too many systems shut down. That’s why police have been discouraged from high-speed chases. Many of the police brutality cases have occurred after high-speed chases when officers are temporarily mind blind. In other words, they’re unable to get an intuitive sense of the situation and how to act. Evidence shows that with no time and a high degree of stress you tend to revert to stereotypes. For that reason, police have transitioned to one car patrols. One officer is able to slow a situation down more effectively to engage his subconscious and conscious modes of thought, improving decision making. If you can slow a situation down, it will improve your performance. And it can be exploited. Research has shown a phenomenon called sensation transference when customers are shopping. Consumers associate packaging with the product to the degree that they’re indistinguishable. In this way, marketers can make small changes to packaging to affect our opinion of food and drink. Subconscious, rapid cognition and thin slicing are prone to error, bias and stereotyping. 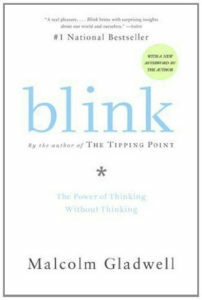 Blink is an excellent book and I highly recommend grabbing a copy. The research included shows just how complex and powerful our mind is. The first half of the book talks about the potential for using the subconscious mind to improve rapid cognition and decision making. The second half of the book outlines the drawbacks of relying on the subconscious for reading every situation. Or just making better decisions. Like this? Then browse more book summaries. Want More Mind-Bending Book Summaries? Want More Free Book Summaries?